Kailyn's bedroom "before" is not very appealing. From the moment we moved into this house we knew Kailyn's room was on our list of rooms TO DO. 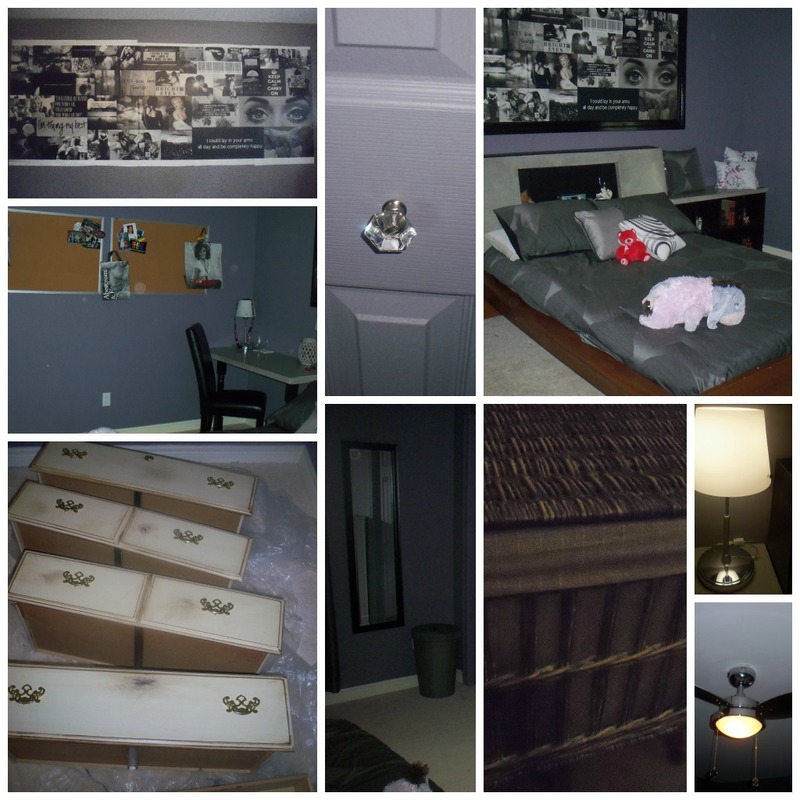 She had a bed mattress in the middle of her room, no paint colour on her walls and an old broken down dresser. It was actually quiet embarrassing. We wanted to give her a room that she could hang out in with friends, do her makeup and homework in, find some peace among her siblings...her own little oasis that any 15 year old would love to have. Of course she picked her own wall colour Exclusive Plum Click HERE for the painting post. Kailyn and I worked on a wall mural that in the begging was meant to cover the entire wall behind her bed however do to the cost we had to shrink that idea down a wee bit. She knew I was working on some concrete pieces for her room but really that was all she knew. She had no idea what we were up to! And of course with any bedroom transformation we added a few other items to finish the look. When it was all said and done I think she is pretty darn happy with it!! Over from Thifty Decor Chic - this is awesome! I love the colour scheme and the details :) The mural is amazing and so personal. Cheers! Thank you so much for stopping by!! I'm soon posting a how to about the mural.